It's nearly fall, which means the days of wearing skirts and dresses sans tights are numbered—a sad reality, we know. However, some excitement does lie ahead, courtesy of pant season. All the long pants you've kept in the back of your mind (and closet) during these past few months are more than ready to come front and center as soon as the weather drops. Nevertheless, sometimes you can grow tired of your go-to pants really fast, which is why we've put together the five best fall pant styles to try this year. We're 100% sure they'll revitalize your closet and style in no time. From rainbow-colored trousers and knits to classic leathers and animal prints, it's time to give them all a spin. Ready? These plaid pants give us school vibes in all the right ways. 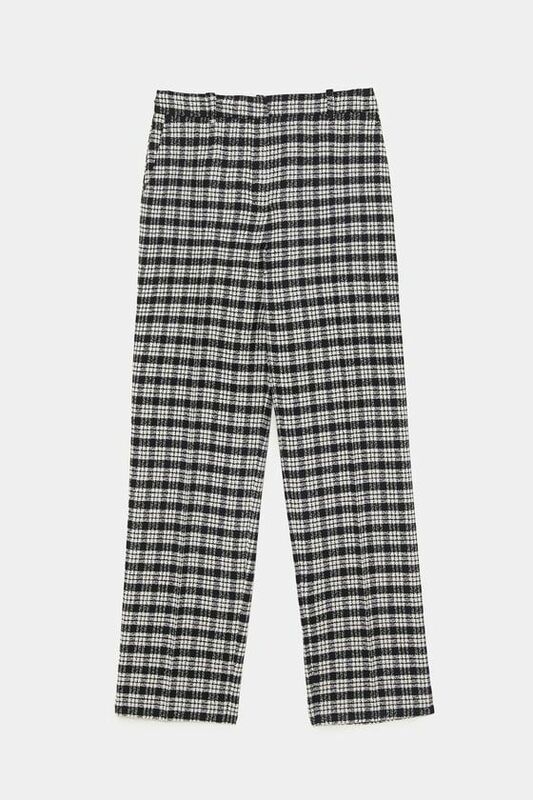 Upgrade your go-to work pants with this chic plaid option. If the pants look like it could be worn in Clueless, great! This color really makes the plaid print pop. Nothing says fall fashion more than a pair of plaid pants. If you want to try the animal-print trend but want to keep it more discreet, these pants are for you. Change up your skirt look with these wide-leg leopard pants. Or with these leopard leggings. There's enough space in your closet for all the animals in the wild. Keep the athleisure trend going all through fall with these pastel purple joggers. These lovely burnt-orange cropped pants are sustainably made. Talk about a win-win. Opt for these if you want some perfectly calculated wardrobe drama. These fuchsia leggings can do just the trick. Is it really holiday season if you don't own a pair of red pants? Shine all through fall with these comfortable trousers. For when you would really much rather be wearing pajamas. Perfect for your Sunday brunch. Comfort is key with these rib-knit pants. There's nothing mellow about this yellow. This pair of leather pants is as easygoing as it is sophisticated. Switch up your black leather pants with this lovely deep red pair. Opt for a breezy wide-leg silhouette. Elevate your athleisure looks with this pair of faux-leather joggers. Now is the time to take your pant shopping seriously.